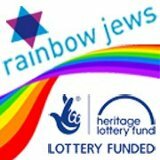 LGBT Jigsaw is a one-stop-shop for young lesbian, gay, bisexual and trans (LGBT) people across London who are homeless or having trouble at home. Very comprehensive site with a film about Roberta Cowell who was the very first British transsexual. This site aims to be a newspaper, library and resource centre rolled into one. Nowhere else in the world will you find such a comprehensive collection of information about the trans rights campaign, and details about the legal, medical, political and social issues surrounding the people it represents.